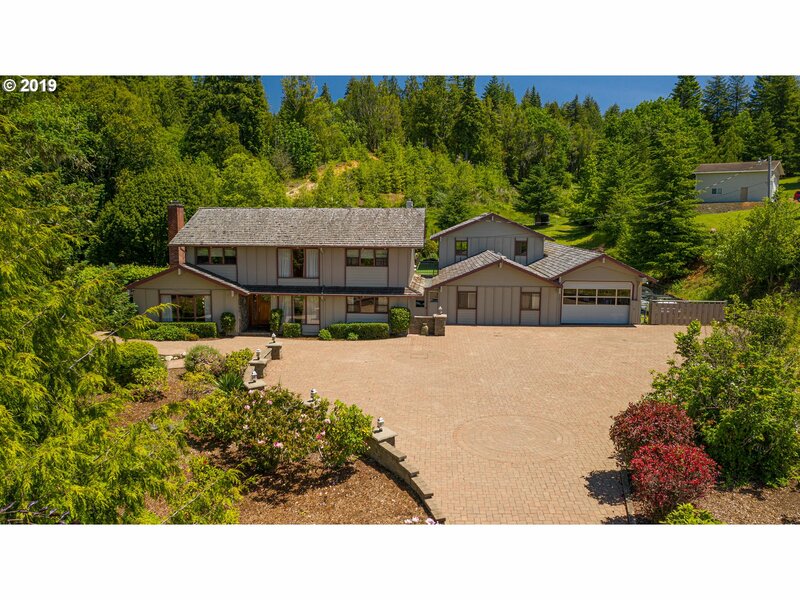 All Coquille homes currently listed for sale in Coquille as of 04/22/2019 are shown below. You can change the search criteria at any time by pressing the 'Change Search' button below. If you have any questions or you would like more information about any Coquille homes for sale or other Coquille real estate, please contact us and one of our knowledgeable Coquille REALTORS® would be pleased to assist you. "HANDCRAFTED Wood Trim, Beams, Doors & Stained Glass in 3088sqft beautiful home with Master Suite and new heat pump! After picking apples, pears, and other delicious treats in your orchard, kick back and enjoy the valley views off the expansive deck and hot tub. Property features Timber, Pasture, Creek, Greenhouse, Kennel and 17 types of Berries! 2800sqft heated and plumbed shop for your motorhome and boat, PLUS additional Truck Garage!" "Great location fenced & gated Custom Estate on 2.68 acres beautifully manicured with mature plantings & water features. 2 separate homes built in 1967, now combined w/approx. 5069 sq.ft, 5+ Bed, 3.5 Bath, Custom tile entry, Huge Gourmet Kitchen, formal dining room, living room has vaulted ceilings, fireplace, skylights & view windows to enjoy your backyard, Family rm, Den, Bonus, lots of parking, Garage is 18 X 84. A must see to apprec"
"Gorgeous 3BR, 3BA custom home on 7.8 acres w/ detached shop, barn, & pool. This amazing house has vaulted & high ceilings, beautiful wood floors, huge kitchen w/ gas range & island, & big basement. Large rooms, 2 master suites w/ showers & tubs, nice windows overlooking the property, & wonderful front porch. Privacy, trees, useable land, garden, fruit trees, & room for animals. Adjacent buildable 5 acres available! Call for details!" "QUALITY THROUGHOUT THIS LOVELY 3 Bedroom, 2 bath, 2604 sq ft, 2008 FLEETWOOD MANUFACTURED HOME. Situated on a beautiful paved .88 acre park-like setting. This amazing home has many upgrades. A second tax lot with large 3 bay RV garage/ shop. Lots of potential!" "Beautiful country home close to town, pride of ownership shines with this immaculate beauty! 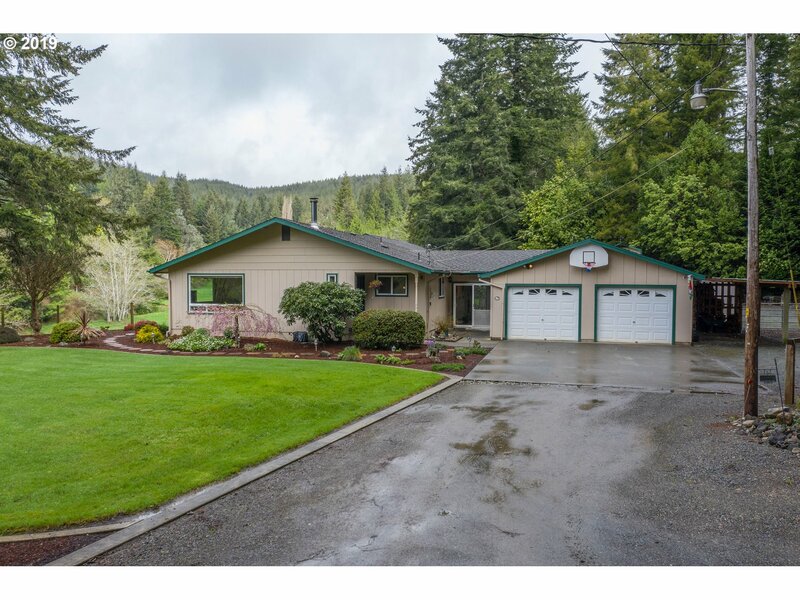 3 bed 2.5 bath, outside entertaining area, hot tub, sun room, large family room with vaulted cedar ceilings, pool table & lots of windows overlooking pasture. Custom Dewils cabinetry, utility room & half bath off 2 car garage. 3 stall barn w/ tack room & hay storage & workshop, paved dog kennels, in ground sprinklers, fruit trees & garden area." "10 ACRE OREGON PARADISE! Pride Of Ownership Dutch Colonial Farmhouse Nestled In It's Own Private Little Valley. Tri-level 2BD/2BA, 1092s/f Living Space & 672s/f Basement Workshop/Storage & Enclosed Main Level Greenhouse. New Expansive Decking w/ VIEWS! Beautiful Grounds Comprised Of Pasture, Year 'Round Springs & Tall Firs. Super Spring Water System, 20'x40' Shop w/ 3 Rooms, RV Parking. Warmer Valley Climate Yet 20 Minutes To The Beach!" "33.75 Acre cattle/hay ranch is fenced. Approx. 2600 feet of river frontage. Site of historical paddle wheeler dock. Two hay barns. The house has been rented for many years and is somewhat dilapidated, but appears to be sound. Needs serious interior work and porch repair. Comp. roofing in 2004. Spring water." 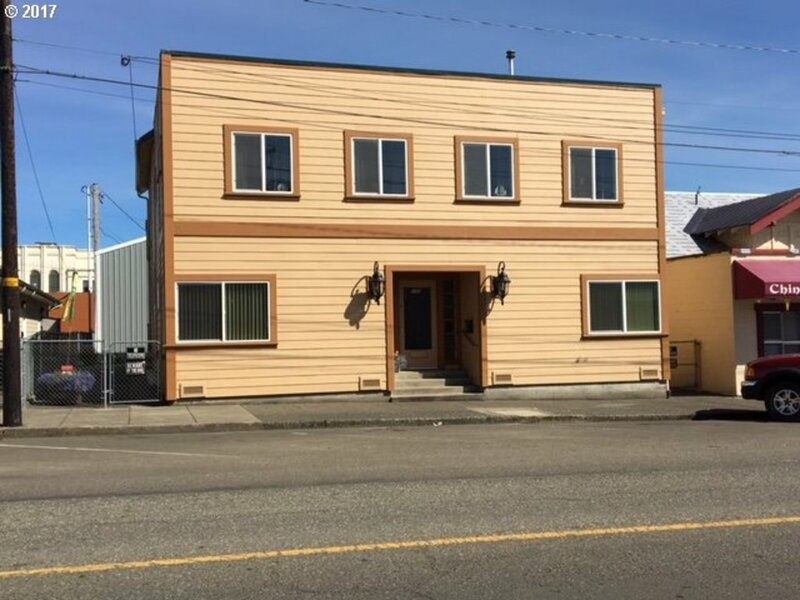 "1310 sf remodeled home, enclosed courtyard, and a free standing professional 1200 sf office previously rented fr $900 before being remodeled! Property features new flooring, bathrooms and kitchen. Home furniture included in sale! *Listing Agent related to seller." 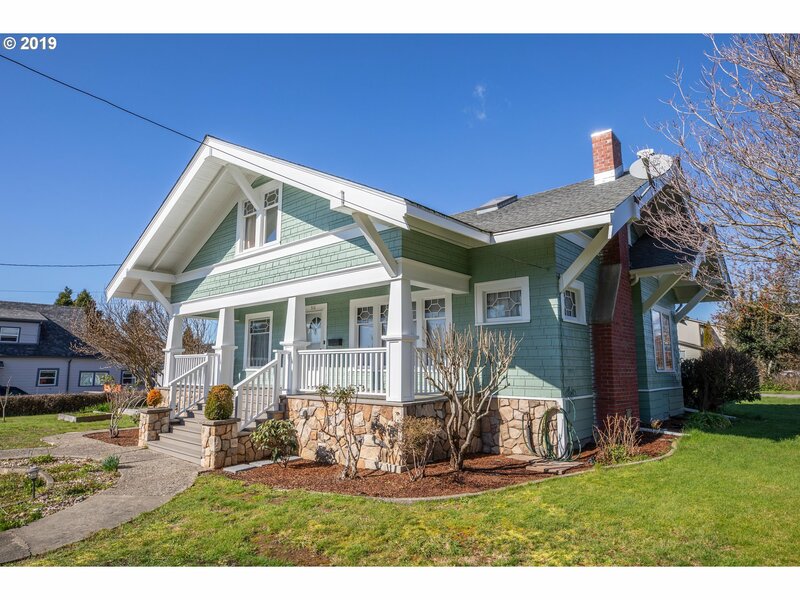 "Gorgeous craftsman home in the heart of Coquille. The home features amazing work trim and built ins, 5 bedrooms and 2 baths, formal dining room, living room, upstairs loft area, detached 2 car over sized garage, natural gas furnace, custom stone work, custom office cabinetry, amazing yard with fruit trees and flowers galore, this is a one of a kind. There is a detached shed building with a bath that needs lots of TLC. Call for details." ".23 Acre property in downtown Coquille with a HUGE SHOP, lots of space for RV and other possibilities. The building is fully remodeled. Upstairs is a 2b/1ba residence with open kitchen and a large storage room. Downstairs is a commercial space. Both levels and the shop can be rent out for great returns. Each level has separate entry, electric and water meters, nice hardwood floor. Too much to list, come check it out. See MLS#: 17424505"
"This great home in a wonderful neighborhood,featuring: 3 bedrooms or 4 possibly with 3 full bathroom, large living room with separate dining room, kitchen with built in desk and breakfast area, good sized 3 bedroom upstairs, large either bedroom or family room downstairs, huge front deck for entertaining, nice side deck off of the dining room, 2 car over sized garage, tons of parking and nice woodsy setting, this property is a must see!" "It's all about the view, WOW! Beautiful home turnkey ready, lots of natural wood and light through out. Nestled in the woods with large deck overlooking the city and coastal range." "Brand New Construction! Great Rural Town Location, Own the first custom home in an upcoming subdivision! 3 bd/2.5bth, Nat.Gas Heat, Instant hot water & range, Stainless Steel appliances, Granite counter tops. Great master suite w/heated tile floor in master bath. Audio/video/internet plumbed-in throughout, Smart garage door opener & thermostat, Double Garage & RV parking. Call to discuss which finishes could be customized to your taste!" "Great Country Setting minutes to town in a desirable neighborhood. Well kept Ranch styled 3 bedroom 1.5 baths, With wood floors, pantry, 2 car garage and large spacious flat back yard(s) with a covered patio great for entertaining. Seasonal and annual flower gardens throughout property with 2 apple trees and 1 cherry tree." "Beautifully updated 4BR, 2BA home with tile bathrooms, walk-in shower, and large family/game room on .80 acre. This spacious house has a nice kitchen, large utility room, and wonderful deck. Room for a garden in the backyard. Formerly an adult foster care home. 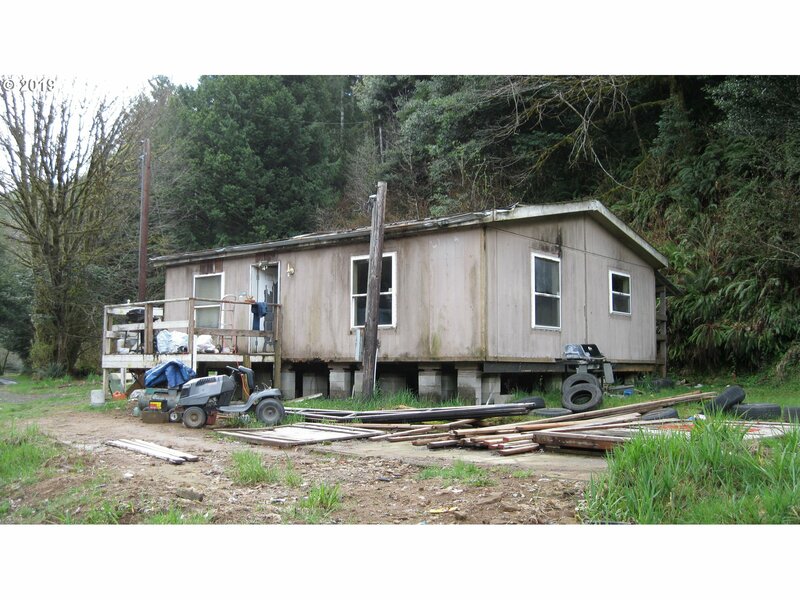 Great Coquille property for only $220,000. Family room could be converted back to a garage." "Recently Updated 3BR, 2BA custom home with bamboo floors. Beautiful home with new drywall and interior paint, new flooring, nice kitchen, great deck, natural gas, attached garage, and gorgeous yard. The main level has 1BR, 1BA, and there are 2BR, 1BA, and a sitting area plumbed for a kitchenette upstairs. 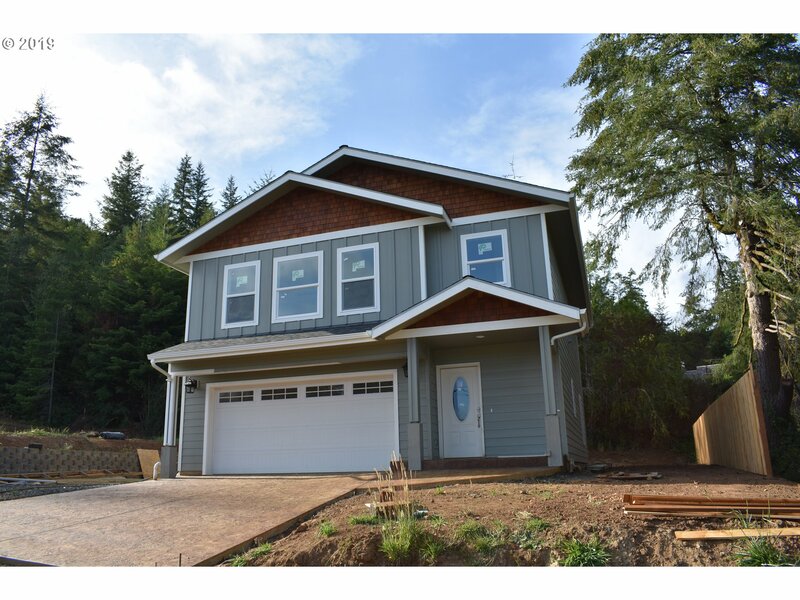 This gorgeous Coquille home can be yours for only $200,000!" 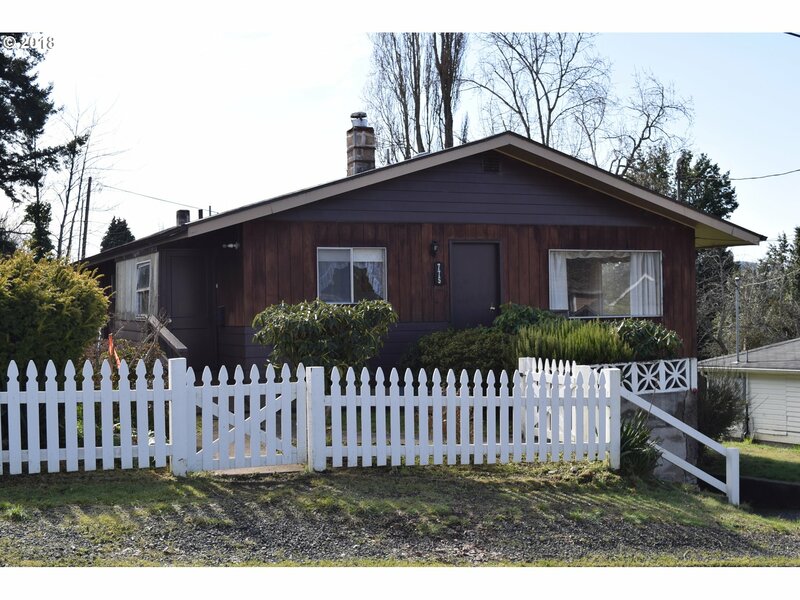 "Great Coquille Neighborhood. 3,024 sqft +/- home with 5 bed/1.5 bath with bonus room and utility room. If square footage is what you need, this home is for you. Approx.3000+ sqft in the oversized garage and large shop area. Additional RV garage. Small fixes will bring instant equity. Additional sqft does not reflect in the county records. Buyer to verify sqft. Cash only." "1954 Charmer. 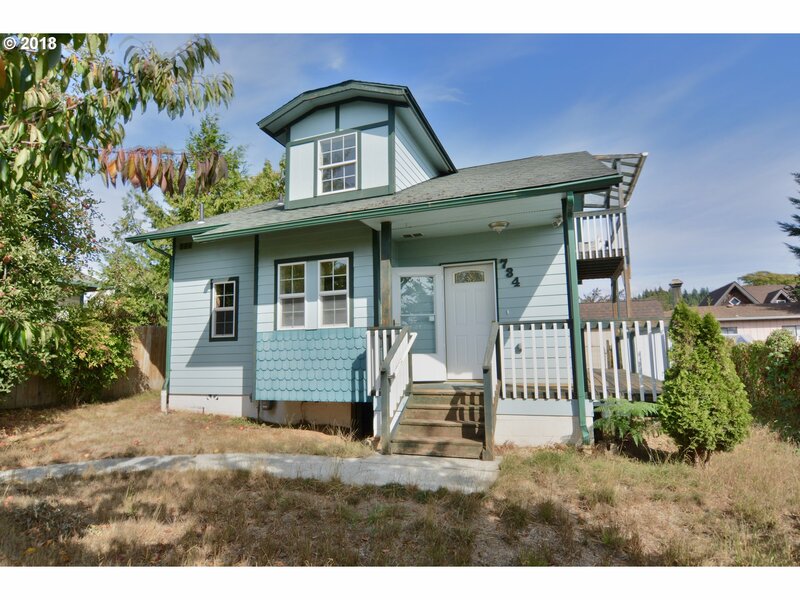 One level 2 bedroom, 1 bath, hardwood floors, detached shop & covered carport. Nice level lot. 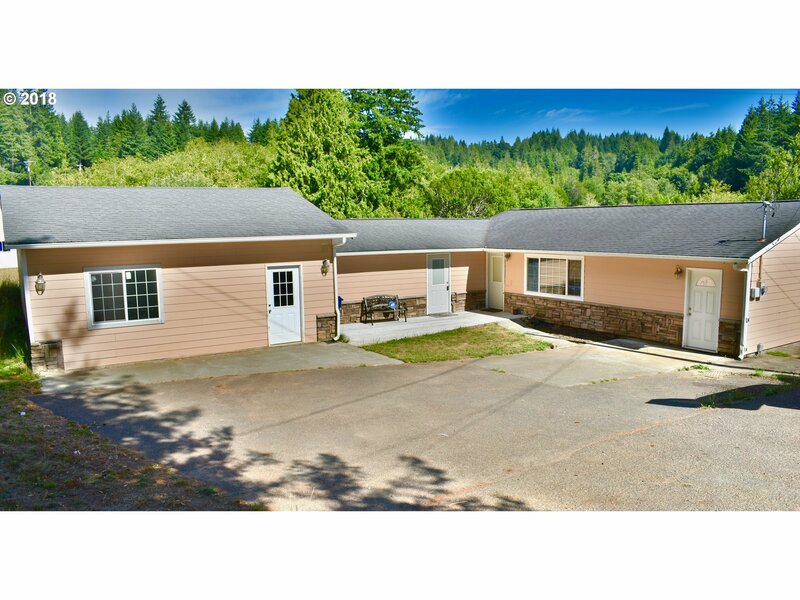 Good Coquille location!" 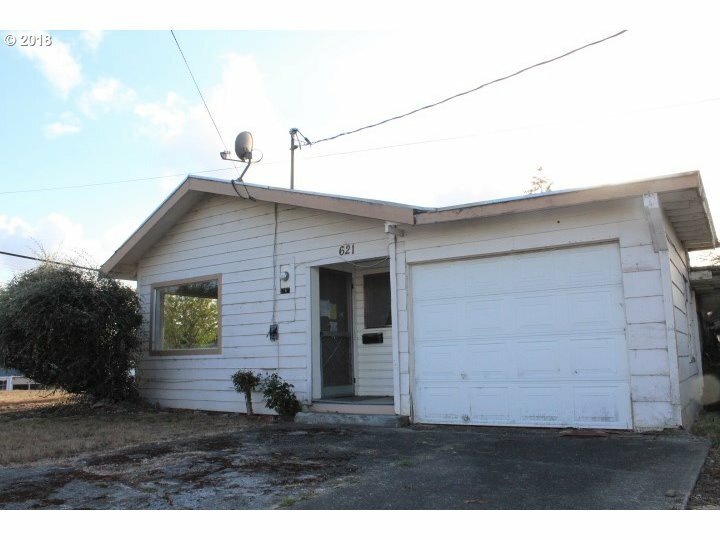 "Cute home with newer roof in Coquille! 2 bedroom, 1 bath with extra bonus office, large living room, laundry room, kitchen with open shelves, dining room with sliding door, partially covered deck, basement area that was once used as living space and is great storage, carport and lots of flowers (owner says in the spring) call for a showing today!" "Country living. Manufactured home can be remodeled or removed, and build your own home. 300' of river frontage with merchantable timber. Very private with road frontage." "Cute 3 bedroom, 1 and 1 /2 bath home ready for some finishing touches. Rustic cedar siding and wrap around deck with large windows overlook backyard. Two bedrooms, living room, kitchen and full bathroom upstairs. Daylight basement boasts a master bedroom with walk-in closet, den/family room area, unfinished laundry room with sink and toilet and an unfinished back porch area. Large water heater :) Sloped backyard ready for your plans!" "ALMOST AN ACRE! COUNTRY SETTING, YET CONVENIENTLY LOCATED JUST OFF THE 42 ON LEE VALLEY. VIEW OF THE GOLF COURSE 2 BEDROOM 1 BATH WITH ADDITIONS AND A LARGE DECK. LIVABLE BUT NEEDS SOME TLC. WORTH A LOOK"
"Great Neighborhood! Home with start of rehab sitting on a large corner lot. Could be a cute one bedroom. Opportunity to put your imagination to work with plenty of room for your own improvements. Make your viewing appointment today." "Nice lot, mature trees and shrubs, nice neighborhood. Great fixer or replace with a new home. To cover deferred taxes owed need full price or close to it. Call for more information"